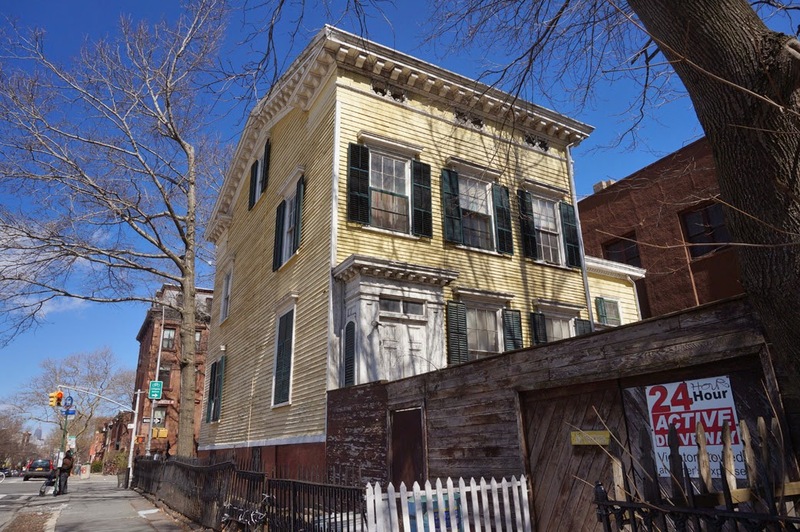 At the foot of Old Fulton Street in Brooklyn Bridge Park, sits a clapboard house with a tower. 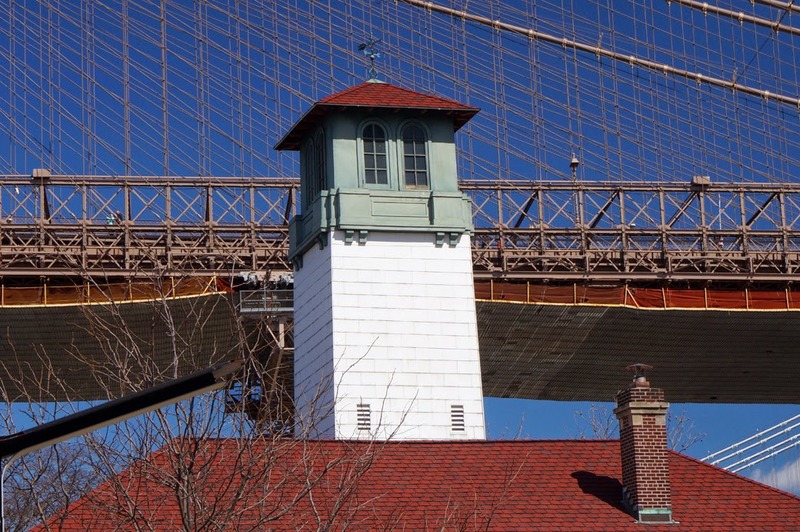 Built in 1926 at the former site of the Fulton Ferry landing, this structure was a fireboat house for the New York City Fire Department’s Marine Company 7, and the tower was used to hang and dry fire hoses. 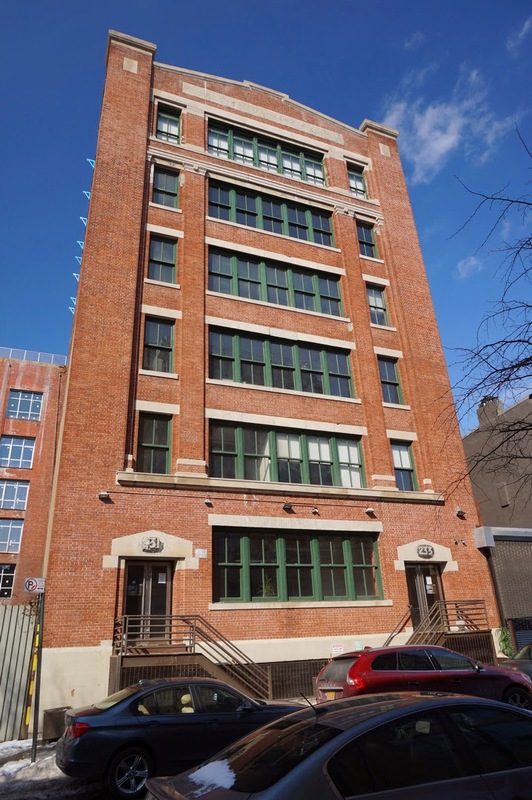 After Marine Company 7 was disbanded, the building became home to the Fulton Ferry Museum, National Maritime Historical Society. 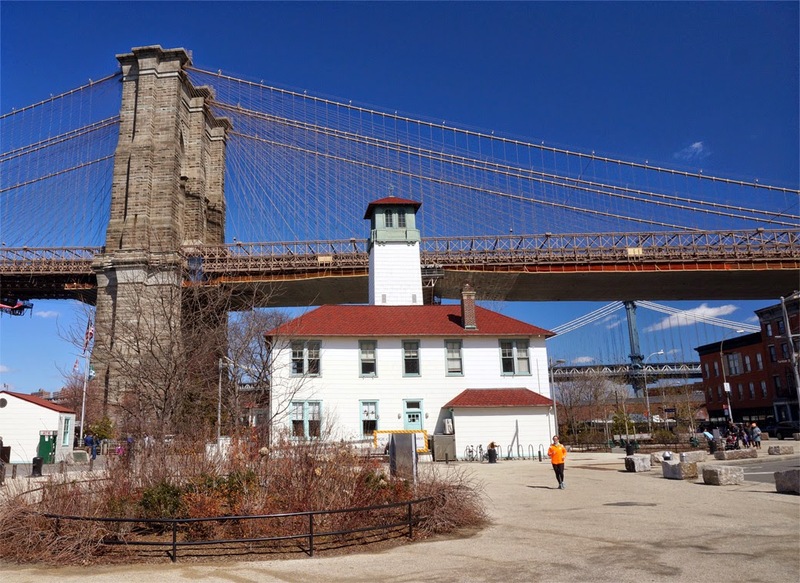 The Fulton Ferry museum operated out of the fireboat house from 1976 to 1982 but left under pressure from the borough president’s office to make way for commercial use of the building. 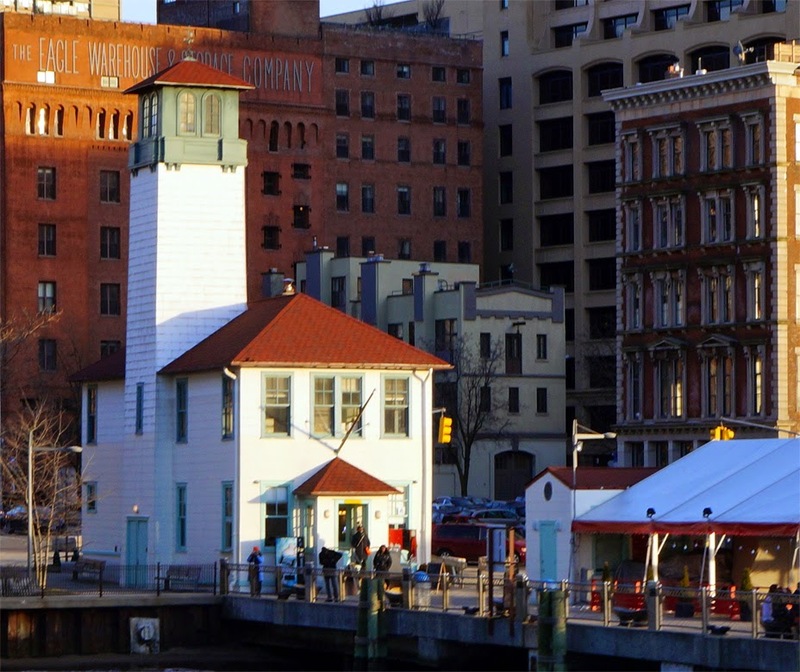 Today, the old fireboat house is home to the Brooklyn Ice Cream Factory (my favorite ice-cream). The site of the fireboat house has its own historical significance. 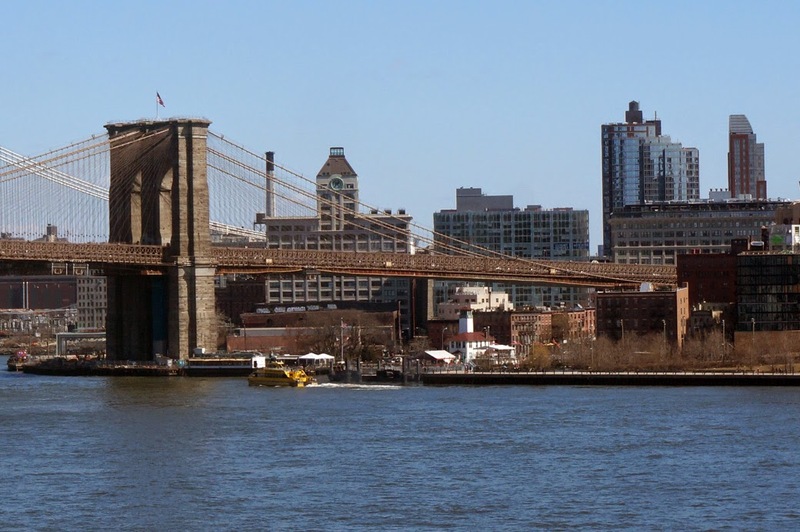 During the Revolutionary War, the Fulton Ferry or “Brooklyn Ferry” landing as it was formerly known, was the site of a strategic retreat by George Washington’s Continental Army. On the night of August 29, 1776 the Continental Army ferried across the East River to escape from the advancing British troops after being defeated at the battle of Long Island. To avoid detection by the British Navy, the crossing was carried out at night and under cover of fog. The ferry landing was also the location of the first ferry service between Brooklyn and Manhattan. 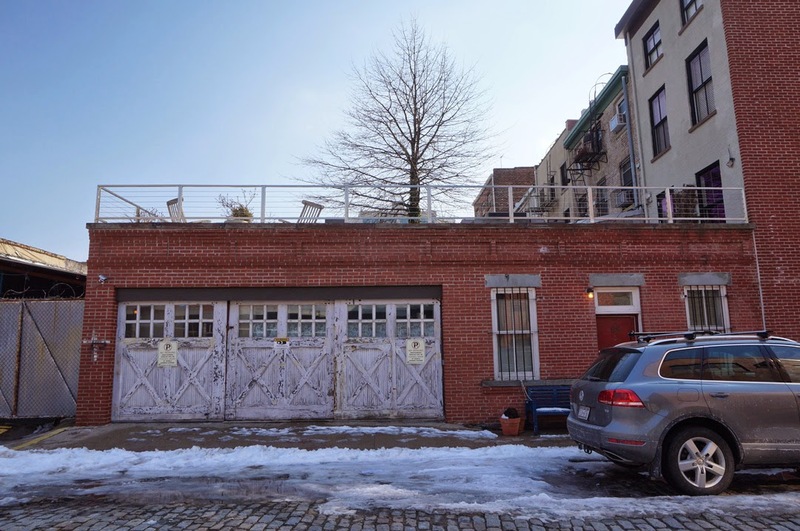 Ferry service at the site began in the mid 17th century under ownership of Cornelius Dirksen, the proprietor of an inn near Peck’s Slip in Manhattan. Dirksen’s ferry was a skiff taking passengers to and from the Brooklyn Ferry landing and Peck’s Slip in Manhattan. Built by Robert Fulton, the first steam powered ferry to cross the east river went into service here on May 11th of 1814. Demand for ferry service continued until the Brooklyn Bridge was built. Once the bridge was finished, ferry ridership dropped and service was eventually suspended until the East River Ferry began operating a few years ago. 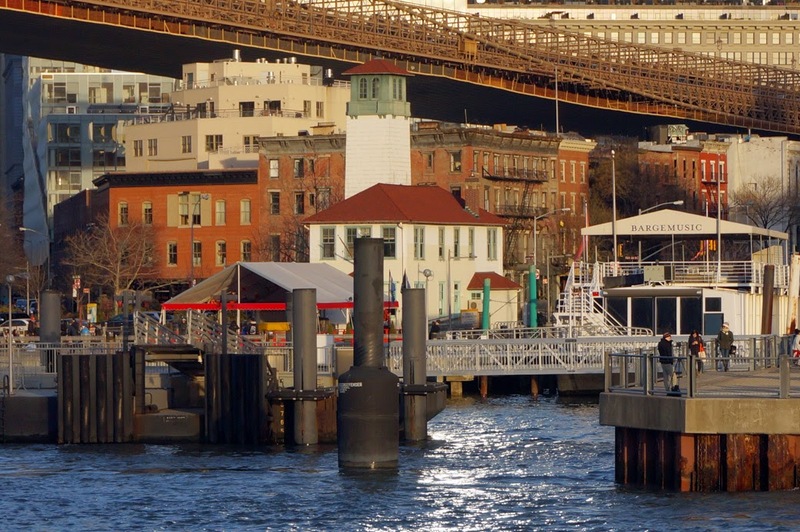 The ferry landing was also referenced in Walt Whitman's poem "Crossing Brooklyn Ferry". Below is a passage from the poem. Flood-tide below me! I watch you face to face; Clouds of the west! sun there half an hour high! I see you also face to face. Crowds of men and women attired in the usual costumes! how curious you are to me! On the ferry-boats, the hundreds and hundreds that cross, returning home, are more curious to me than you suppose; And you that shall cross from shore to shore years hence, are more to me, and more in my meditations, than you might suppose. “Goodbye to the Boathouse” New York Times print. 27, June 1982. 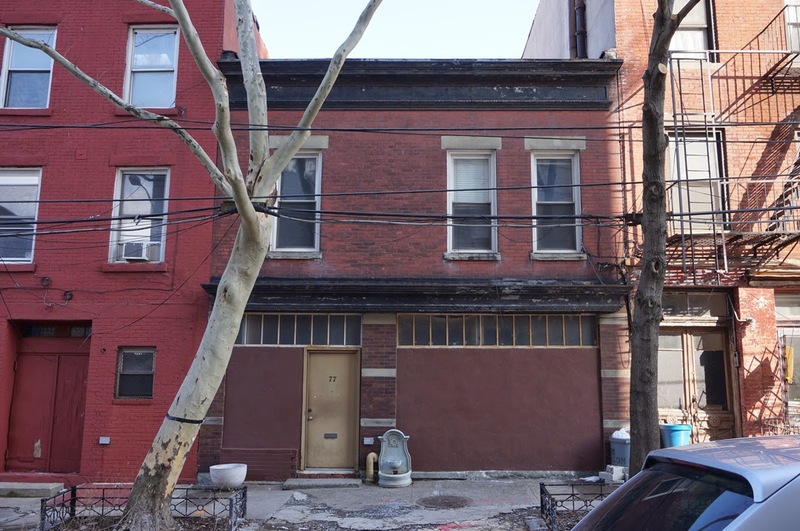 Landmarks Preservation Commission Report 25 November, 1975. LeBoef, Randall J. “Robert Fulton and the Fulton Ferry” The Journal of Long Island History. 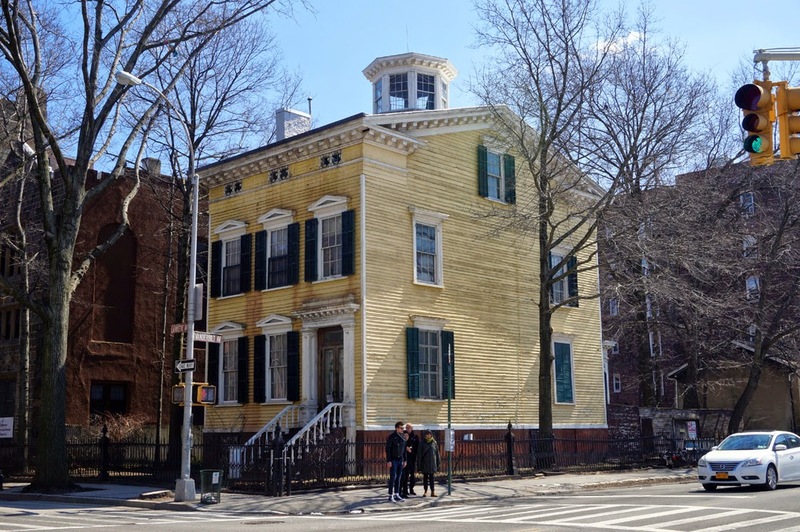 The Joseph Steele House in Clinton Hill is noted as being one of the best surviving wooden Greek Revival style suburban mansions in New York City. 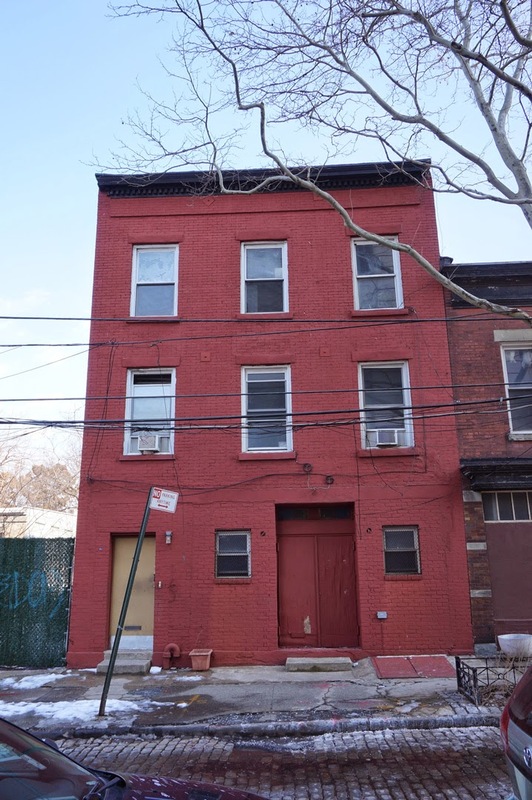 The house manages to be eye catching regardless of its scale and location relative to two other impressive structures, the Brooklyn Masonic Temple and Our Lady Queen of All Saints School Church and Rectory, situated diagonally across the intersection of Lafayette and Vanderbilt. 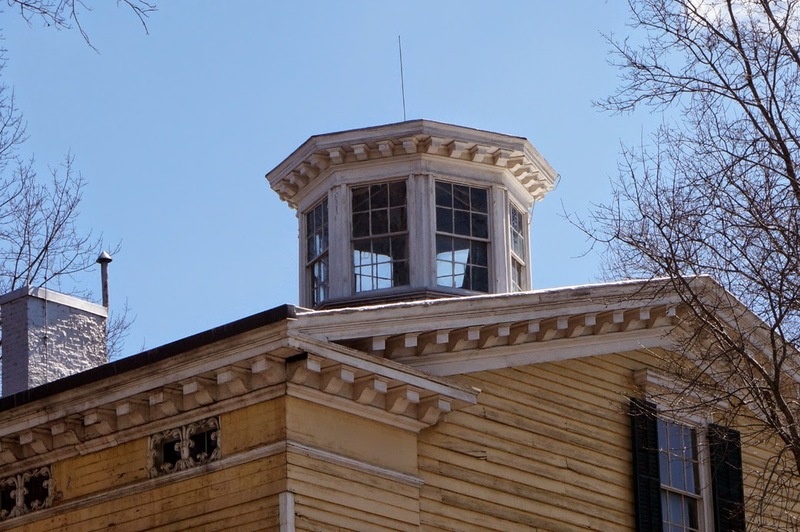 Built sometime between 1825 and 1850, the Greek Revival style home features narrow wood clapboards, a modillion bracketed cornice, eyebrow windows with pediments and an octagonal cupola. The façade has not been altered; however, the house does have an addition. The original structure is the eastern wing with a second structure attached at the rear, west side of the house. The addition is a separate, earlier Federalist style structure that may have been moved from another location on the property. 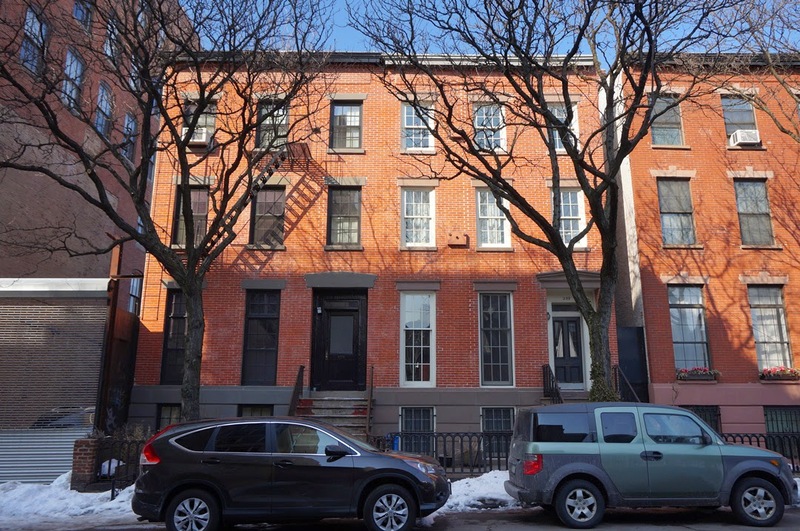 Joseph Steele was a resident of Brooklyn Heights. 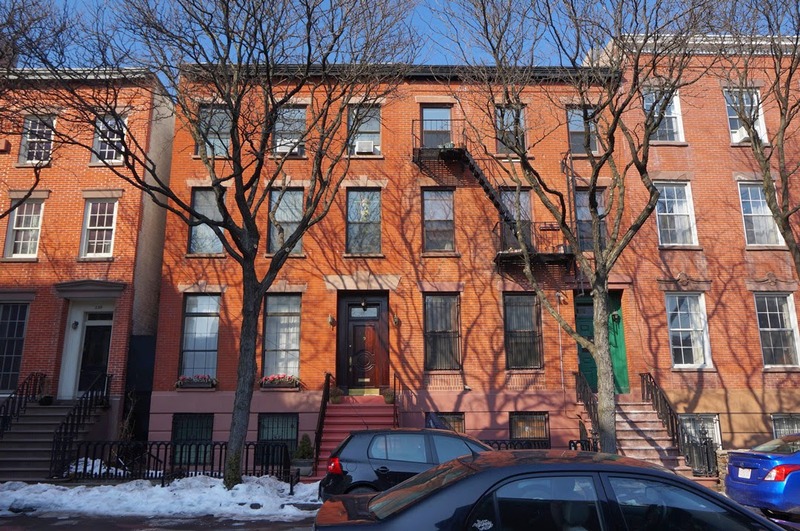 He sold the property to Joseph K. Brick, the first president of the Brooklyn Union Gas Company, in 1853. 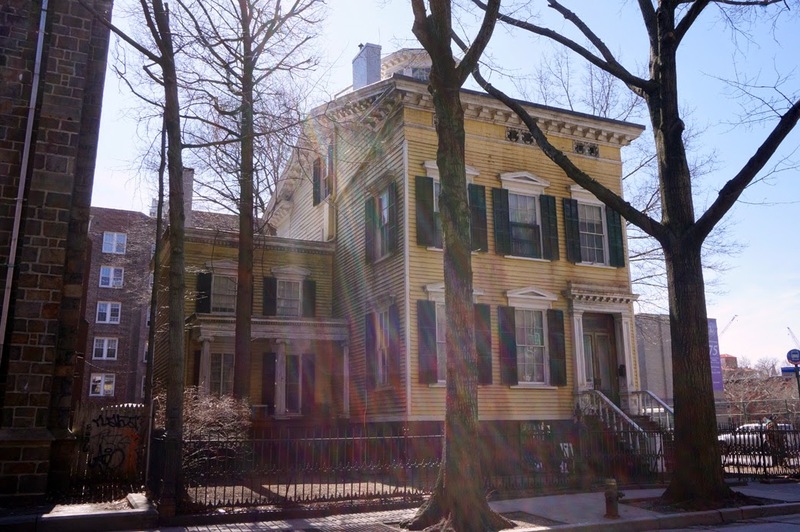 In 1903 the house was sold again to Joseph Skinner whose family still owns the house today. Montrose, Morris “Building of the Day: 200 Lafayette Avenue” Brownstoner Online. 2 July, 2010. 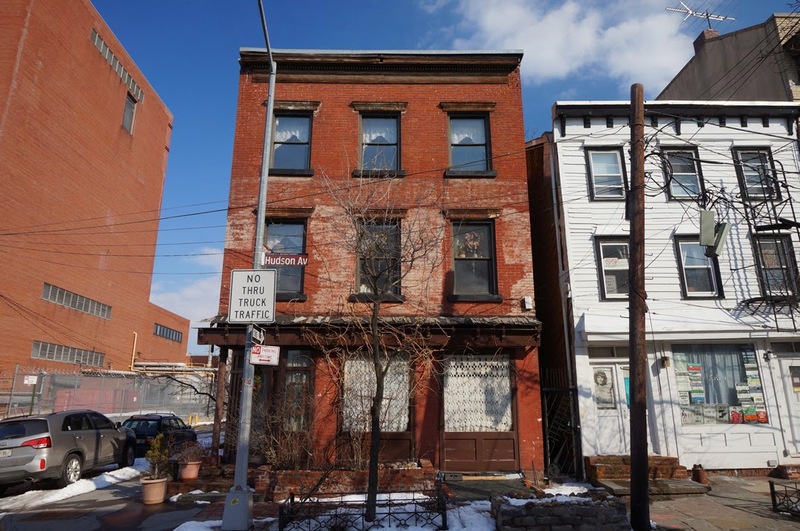 Adjacent to a ConEdison Power Station and book-ended by Dumbo and the Brooklyn Navy Yard / Commandant’s House is the neighborhood of Vinegar Hill, a place that time forgot. My first encounter with the neighborhood was during a site visit to investigate the area for a potential bicycle greenway. I was struck by the quiet streets, and its anachronistic sense of place. Being there felt like I stepped back in time. 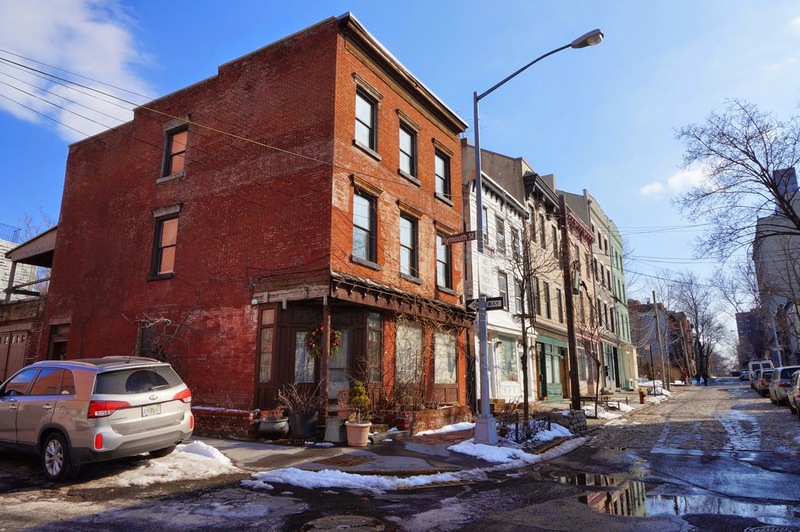 Much of what was Vinegar Hill was razed for the erection of the Brooklyn Queens Expressway and the Farragut Houses. 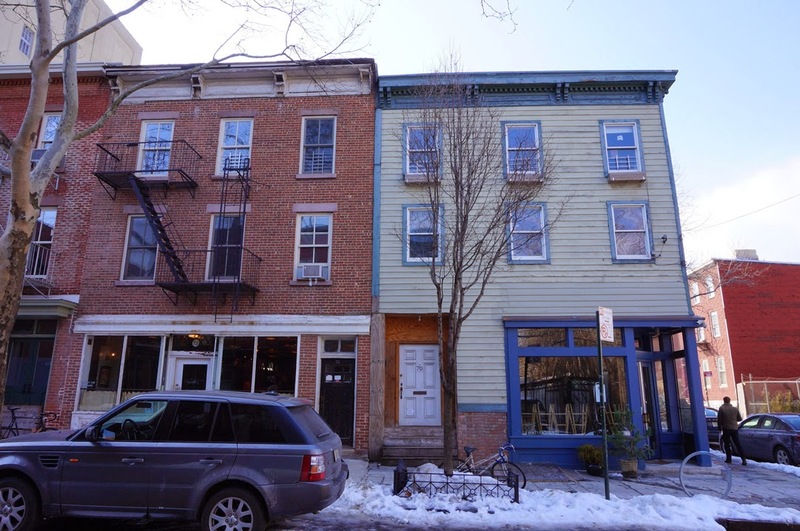 What remains of the historic buildings of Vinegar Hill are in the Vinegar Hill Historic District which includes three areas that define the neighborhood’s sense of place. 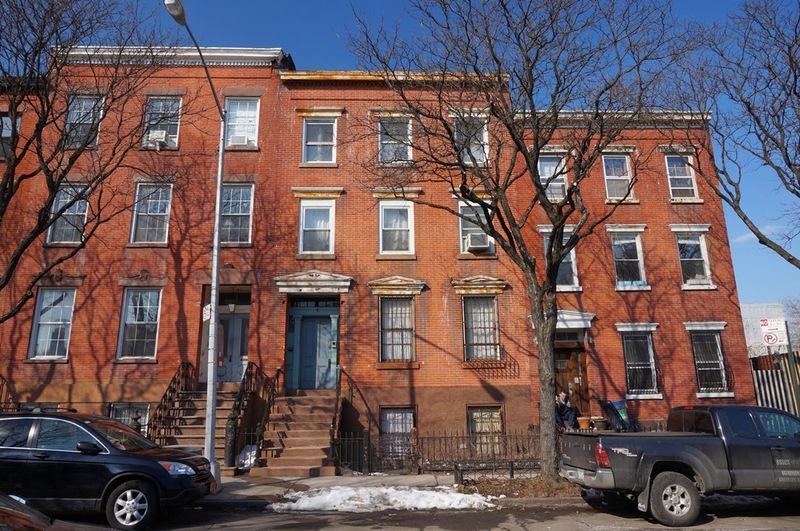 The areas are mostly comprised of brick Italianate and Greek Revival style row houses built from the early to mid-nineteenth century, although there are structures built as late as 1908. 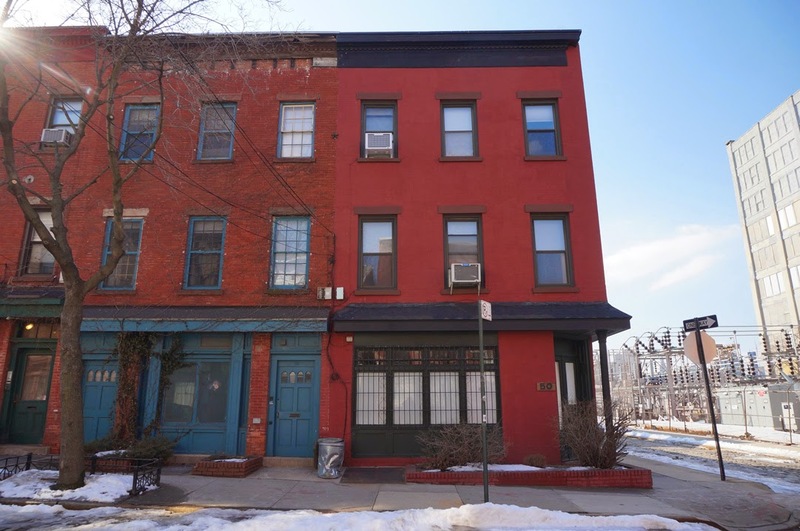 Vinegar Hill’s original inhabitants were the Canarsi Indians. The first Europeans to visit the area, arriving in the early 17th century, were fur traders from England, the Netherlands and Sweden. After being weakened by war and European diseases, the Canarsees sold the land that makes up Vinegar Hill to the Dutch in 1637. 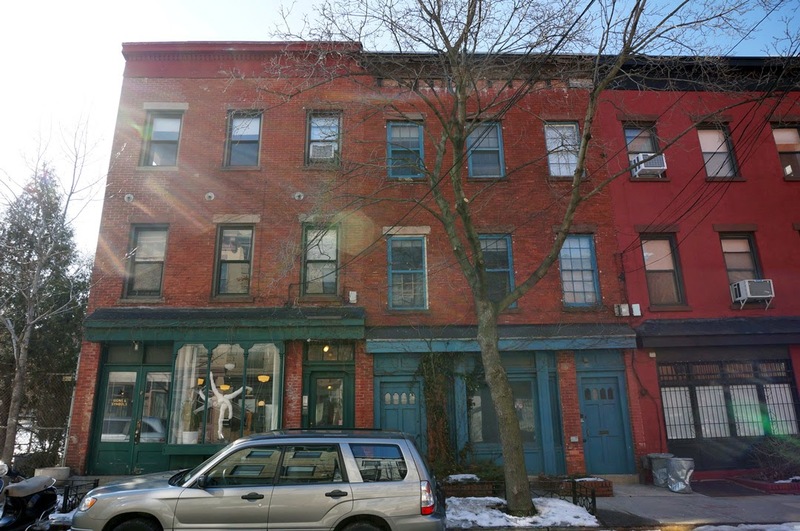 The name Vinegar Hill was bestowed upon the neighborhood by one of the areas developers, John Jackson, in honor of an Irish-English battle. 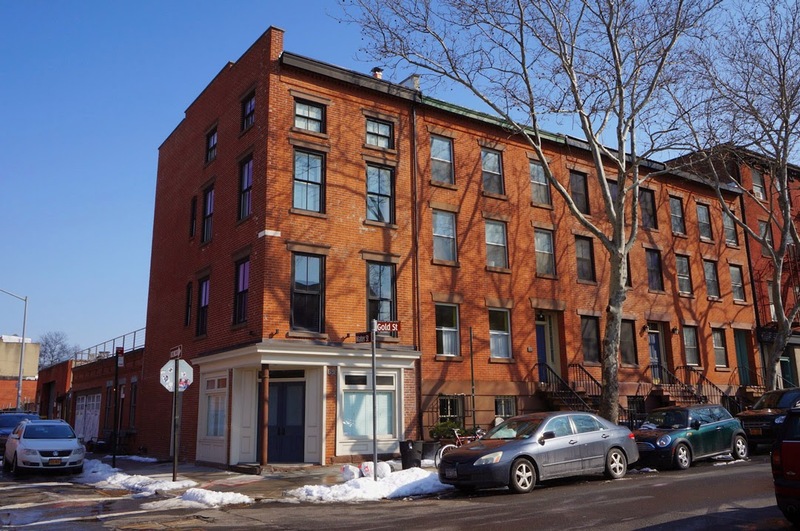 Jackson, a ship builder, owned a shipyard at the foot of Hudson Street and built housing for his workers in Vinegar Hill. 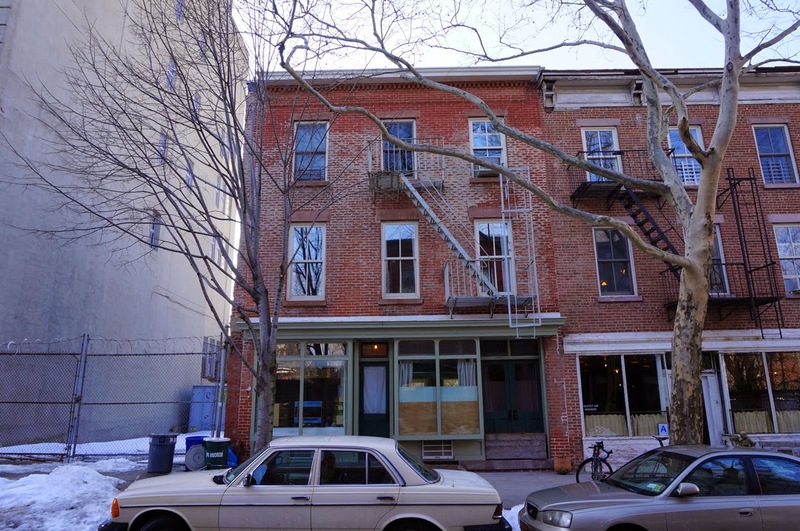 The other early developer of the historic portion of Vinegar Hill was Joshua Sands. The Sands family had amassed their fortune as merchants and speculators. They began laying out their lots around 1787; although, the lots were not developed residentially until the mid-1830s to mid-1850s. 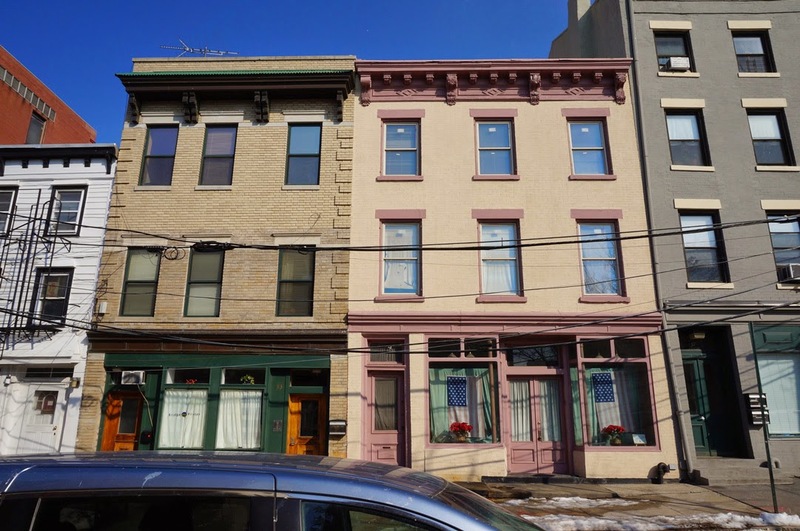 Most of the neighborhood’s residents were comprised of laborers from local industry with a smaller percentage of commercial proprietors with businesses serving the community. The local industries included spice and coffee works, metal stamping, engine works, paint and varnish manufacturing, and sugar refining among others. Some of the early industries that started in the area are household names today, like Benjamin Moore and Durkee. 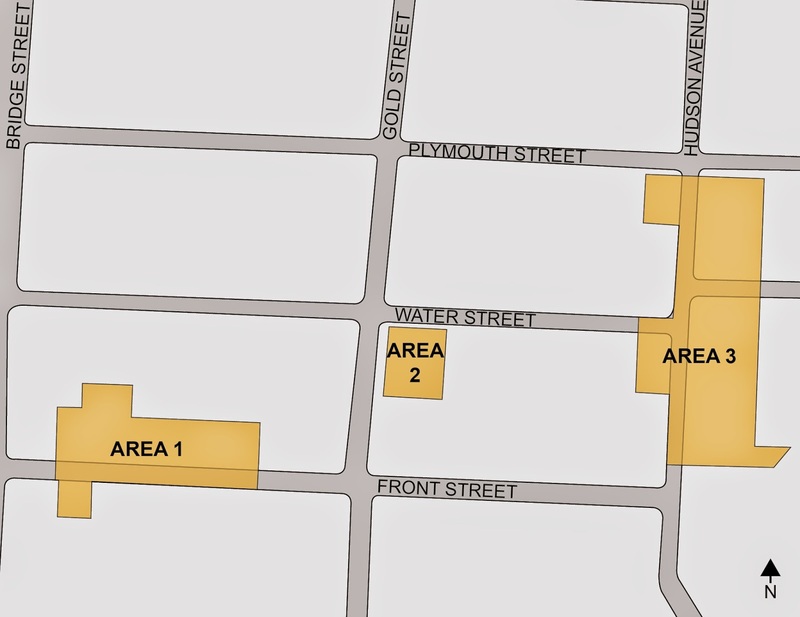 The neighborhood’s historic commercial strips were located on Sands Street, Water Street and Hudson Street. 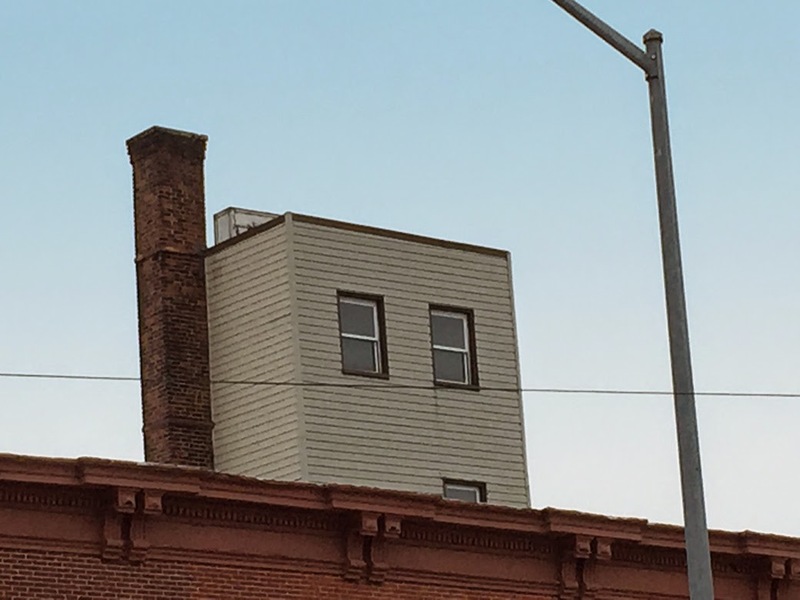 The remnant clues to Hudson Street’s commercial past can still be seen in the fenestration of the streets’ buildings. 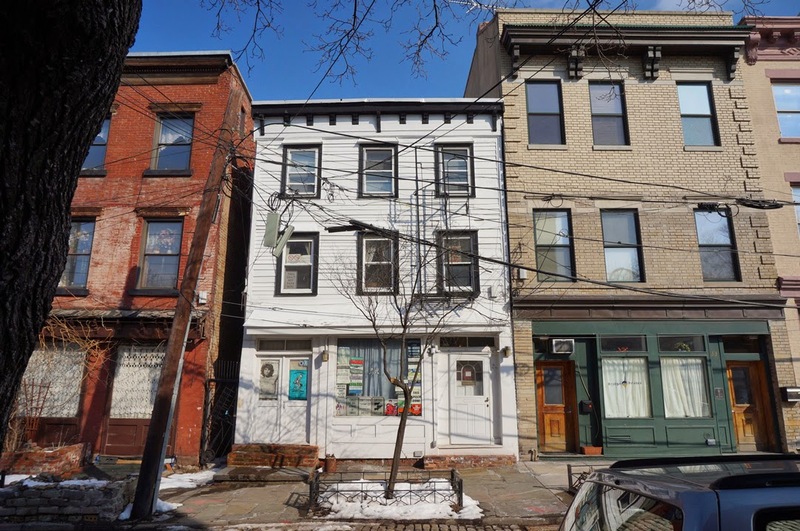 Although, the street is now quiet and residential most of the structures retain their store front windows. 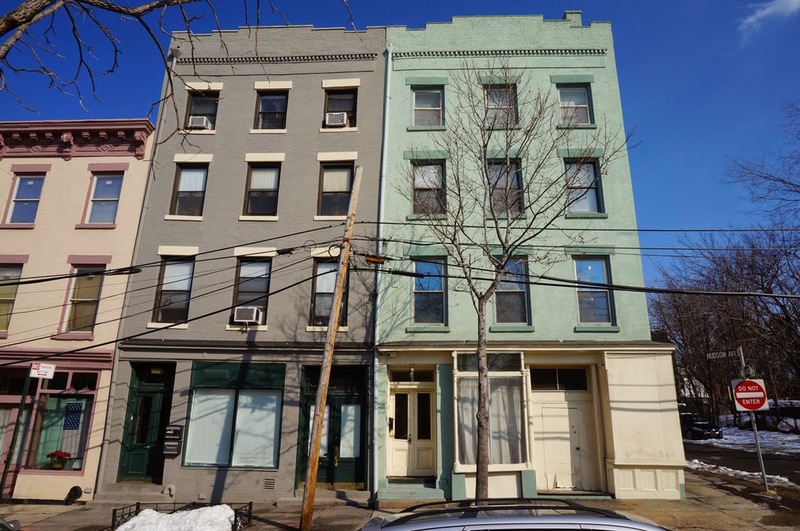 Hudson Street once traversed the neighborhood in a continuous route to Fulton Street and included an elevated train route until 1940. 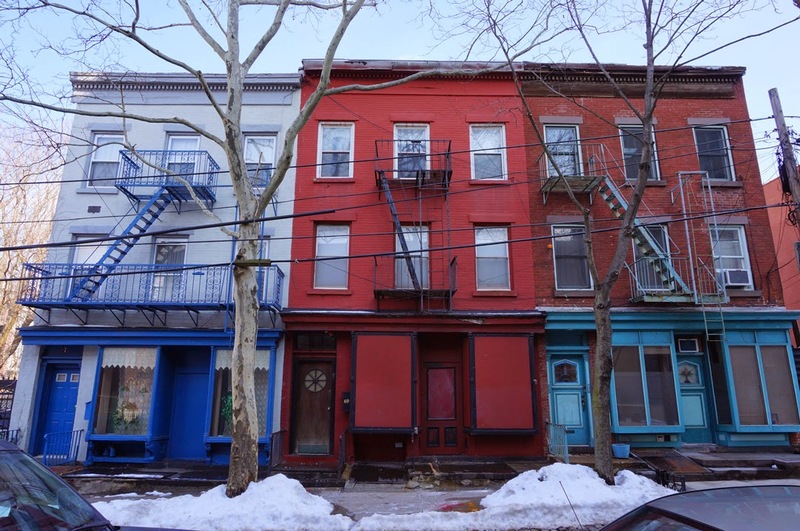 New York City Landmarks Preservation Commission Designation Report Vinegar Hill Historic District 14 January, 1997. 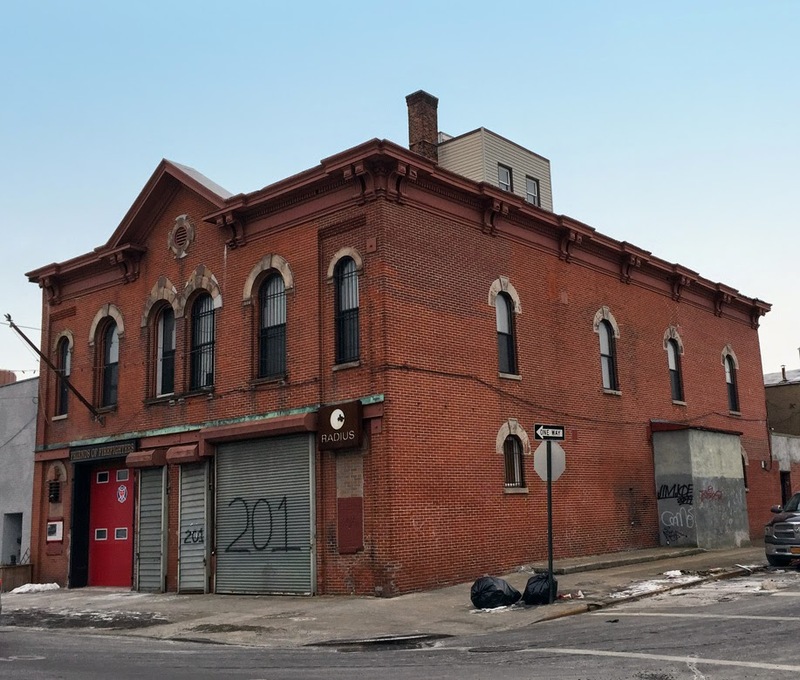 The Italianate style firehouse on Van Brunt Street at Seabring Street was built in 1872 as a new home for Engine Company 2 and Ladder Company 1 of the Brooklyn Fire Department (B.F.D.). 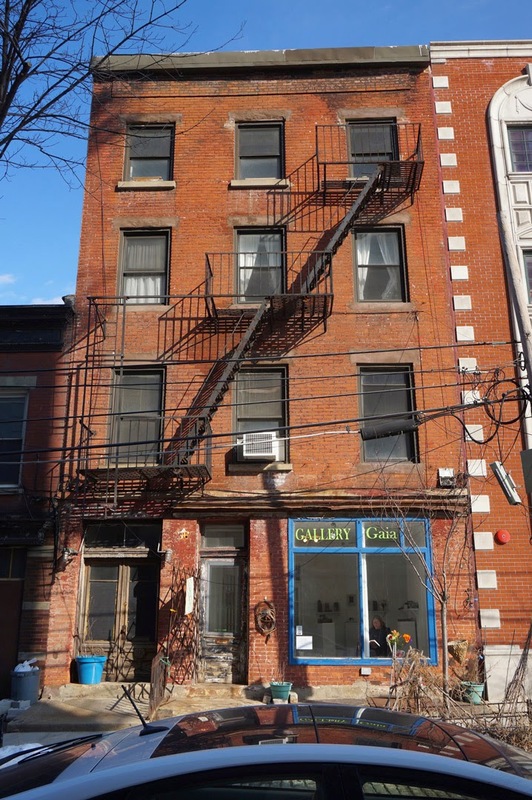 The original quarters that housed the engine and ladder companies were located at Van Brunt Street and Carroll Street. 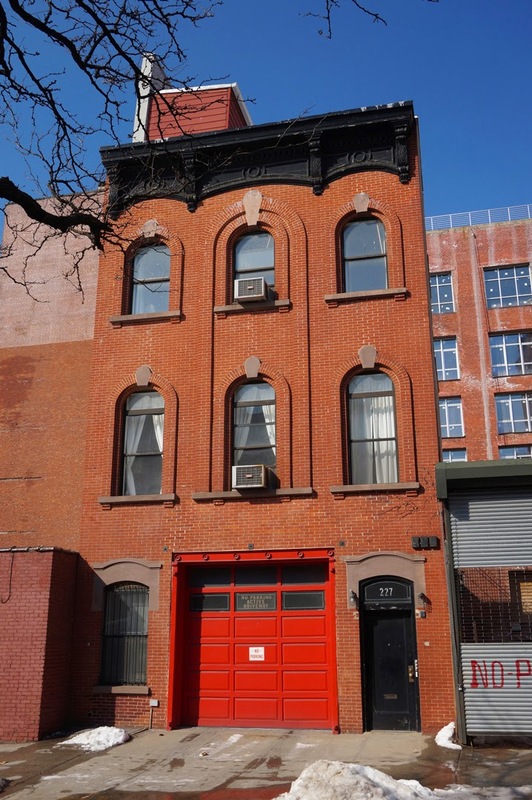 The first all paid fire companies in Red Hook, Engine Company 2 and Ladder Company 1 were commissioned by the BFD on September 15, 1869. Well known for their firefighting skills, Engine Company 2 originally consisted of 14 men who had served in the volunteer fire department. The fire companies were reorganized twice. The first reorganization came in 1899 when the BFD merged with the FDNY and Engine Company 2 was renumbered to 102. The second reorganization came in 1913 when the companies were renumbered to Engine Company 202 and Ladder Company 101. At the time of reorganization the Brooklyn Fire Department had 13 engine companies and 6 ladder companies. The miniature house on the roof of the structure was originally used for hose storage. An exploding schooner carrying munitions and salt. Cotton bale fires on the New York Dock Company Piers. The Barber Steamship Company Pier Fire of 1934 that destroyed Red Hook’s Pier 38. A warehouse fire that spread to the 7th Avenue subway lines. 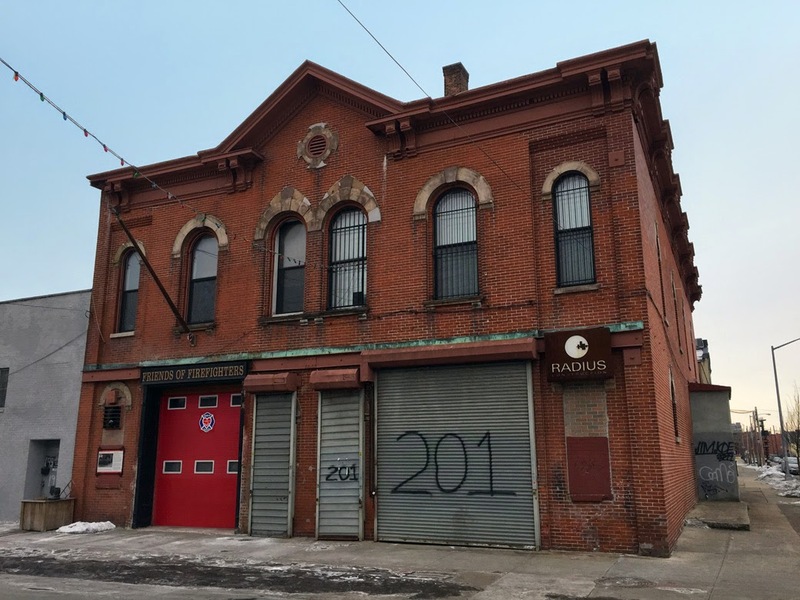 No longer an active firehouse, the building serves as the headquarters for non-profit Friends of Firefighters. Formed in the wake of the September 11th terrorist attacks, the organization provides “independent, confidential and free or low-cost counseling and wellness services to active and retired FDNY firefighters and their family members”. Frishberg, Hannah "Van Brunt Street Firehouse CH & L Engine Co. 101, Engine 202" Atlas Obscura.